The divorce scenario of Angelina and Brad is as follows. Husband is seeing another woman and a private investigator confirms the affair. Wife is furious as she cannot believe that Husband would cheat on her. Wife knew that Husband had cheated before. Because of the cheating and a party lifestyle, Wife wants primary physical custody of the minor children. This scenario fits Brad and Angelina’s pending divorce, but this is frequently the scenario for many other cases that I have handled. Wife argues that Husband has a veritable “revolving door” of women in his life. She alleges that he is unstable, in a mid-life crisis and partaking in a “party lifestyle” including drugs, women, and other activities for which the minor children should not be exposed. Wife argues that she is the only party capable of providing a wholesome and stable environment for the minor children. If this is true, then Wife might prevail in her request for primary physical custody. But the other side of the story might lead to a very different conclusion. Husband has much to consider. Infidelity itself is not a big factor in “no fault” divorce states in terms of division of assets, debts, and alimony. However, infidelity might be an issue of character that could affect custody. If Husband is using drugs, then this might adversely affect custody, although recreational marijuana use is becoming more and more acceptable. So, if the drug use is limited to marijuana, then this might not affect custody, especially if this is curtailed during Husband’s custodial time. If Husband is not bringing women around the children, then this too might not affect custody. Husband could then argue that he is willing and able to provide a wholesome and stable environment for the children during his timeshare as well. If this is true, then Husband might prevail should he request joint physical custody, but it might not happen overnight. Husband has other factors to consider. If child support is a major issue for Husband, then he might want joint physical custody if Wife makes a good living as well. This would minimize his payment of support. However, if Husband is a high earning spouse and Wife is not, then in Nevada, it might actually be less expensive overall for Husband to pay child support to Wife who would have primary physical custody. Husband might want to consider allowing Wife to have primary physical custody if child support is not a decisive factor, but his work schedule and desired lifestyle do not mesh well with a joint physical arrangement. 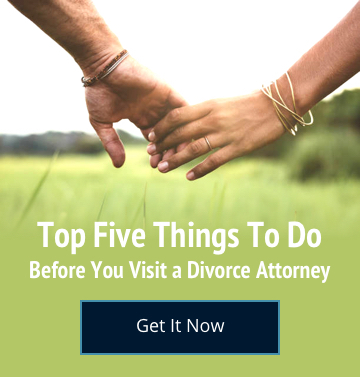 High emotion and a need for retribution are very common at the beginning of a divorce or custody action, especially when infidelity is at issue. Once the emotion and need for retaliation are addressed, the parties may be able to focus on the best interest of the children, not their own emotional needs or desire to get even by using the children as swords in a custody battle. Both parties need to get real. If they are both really good parents and the infidelity and party lifestyle is not going to affect the children, then joint physical custody might be in order. However, if the infidelity, party lifestyle, and work commitments are going to present a problem for the children, then a primary physical custody relationship can still allow the non-custodial parent to have a fulfilling and meaningful relationship with the minor children.